A free PDA that came with a magazine subscription in 2002? An early Peek prototype? No, this is the humbly named USB Wireless Handheld Keyboard and Touchpad that's now available from USB Geek, and it just might be the sort of device you never knew you were looking for. As the folks at CrunchGear have noted, while the device is simply being marketed as an all-in-one wireless touchpad and keyboard, it actually has all the makings of an ideal HTPC controller -- not to mention an entirely reasonable price of $62. 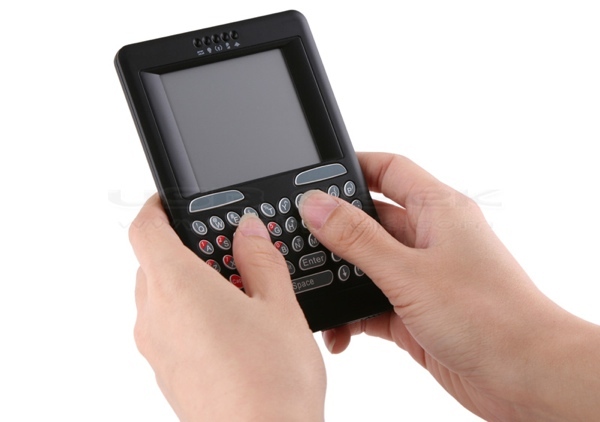 No multitouch, no LCD -- just a plain old trackpad, a wireless USB dongle, and a QWERTY keypad that should be adequate enough for tweeting your reaction to the TV show remake du jour.